Tizen-powered Samsung Z3 is now official and is bound to the Indian market. Design-wise, it is undoubtedly a Samsung device, complete with a physical home button and two capacitive keys. The Z3 packs a 5-inch Super AMOLED display of 720p HD resolution. It is powered by a quad-core Spreadtrum chip with 1GB RAM and 8GB of expandable internal storage. It has an 8-MP primary camera with LED flash and a wide-angle 5-MP front-facing shooter. A 2,600 mAh battery will keep its lights on. 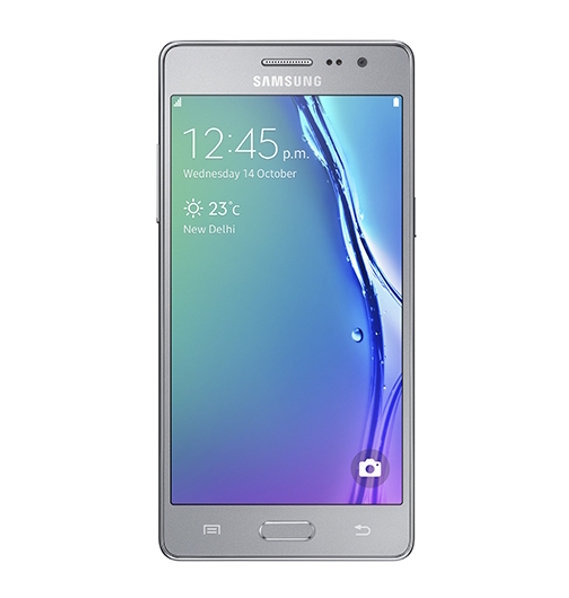 The Samsung Z3 runs Tizen OS 2.3 with Ultra Data Saving Mode. Its user interface is similar to Samsung Galaxy devices with the TouchWiz UI. Its connectivity options include Wi-Fi, Bluetooth, GPS, 3G, and dual-SIM support. It will come in three color variants: gold, black and silver. It will cost just $130 and is bound first to India.